It’s so easy to order your favorites and pick them up. We’ll bring them right to your car! *PURCHASE BETWEEN MARCH 30, 2018 – JUNE 17, 2018. Bonus Card is a promotional card and is not a gift card. Bonus Card valid for redemption May 14, 2018 – July 20, 2018 on a following visit. 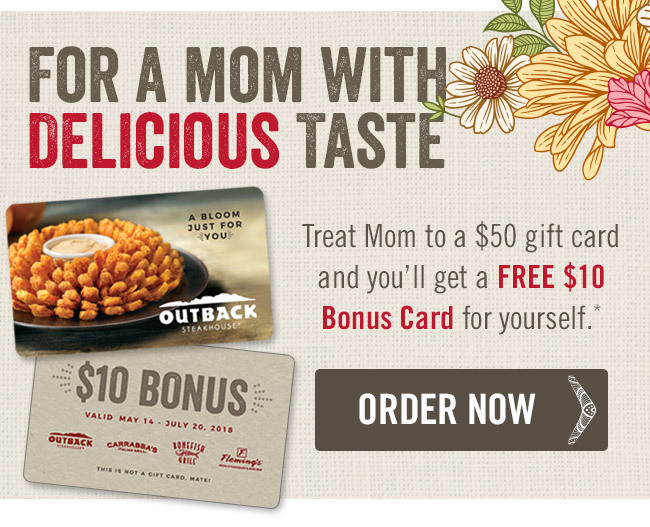 Valid at participating Bloomin’ Brands restaurant locations in the United States. Gratuity, taxes and alcoholic beverages not included. Limit one card per visit, per table. No cash value. No replacement value if lost or stolen. Will not carry an unused balance. No reproductions will be accepted. Price and promotion may vary. Not valid with any other discounts or offers, including any Dine Rewards redemption. Not valid for Private Dining events. Not redeemable at Carrabba’s franchise locations, Carrabba’s Kirby and Carrabba’s Woodway locations in Houston, TX, Carrabba’s and Outback airport locations. 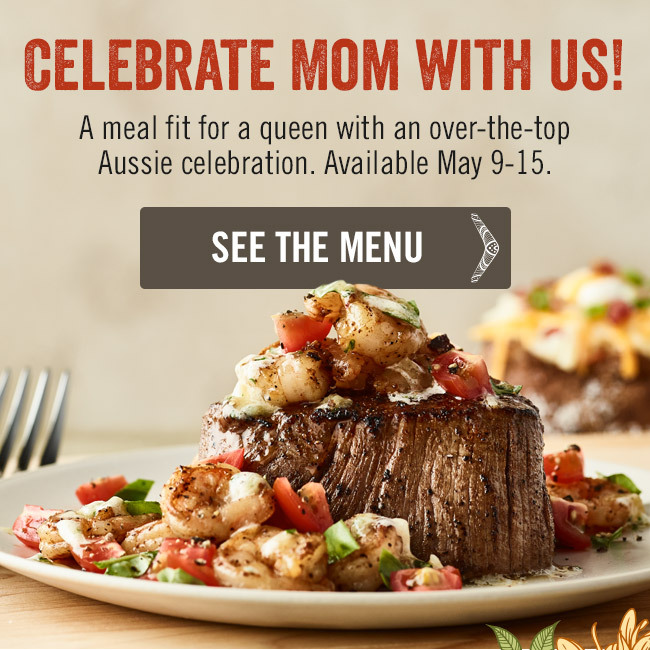 Valid at Outback Steakhouse®, Carrabba’s Italian Grill®, Bonefish Grill® and Fleming’s Prime Steakhouse & Wine Bar®. By Buddy|2018-05-04T06:52:38-04:00May 4th, 2018|All|Comments Off on TO GO TOO GOOD!